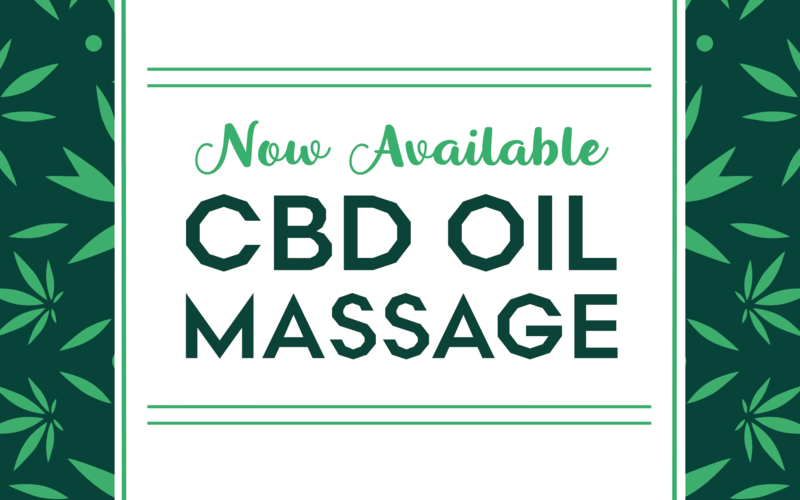 We are excited to announce a new addition to our spa menu – CBD Oil Massage! * When you receive this highly relaxing service, you are combining the therapeutic benefits from traditional massage with the anti-inflammatory, relaxing qualities of organic CBD oil. CBD (Cannabidiol) is a non-psychoactive derivative of the hemp plant, and is rising in popularity for its links to a myriad of health benefits. It is known for reducing inflammation, which can also lead to improved skin health, decreasing pain, stress relief, and as a sleep aid. The benefits of CBD have been widely documented around the world, and the product is popping up on spa menus across the U.S. Applying the oil topically means specific areas can be targeted, and the skin can quickly absorb it, for almost immediate effects. Add CBD Oil to any length massage appointment for $15. Book your massage online, or call our Downtown location at (512) 478-4567 (dial 1). To book, select “Massage” and your preferred service. CBD upgrade is available by request. You do not need to be a Castle Hill Fitness Member in order to enjoy this special massage. *CBD oil is a non-psychoactive derivative of the hemp plant and is legal in all 50 states. Does not contain THC.